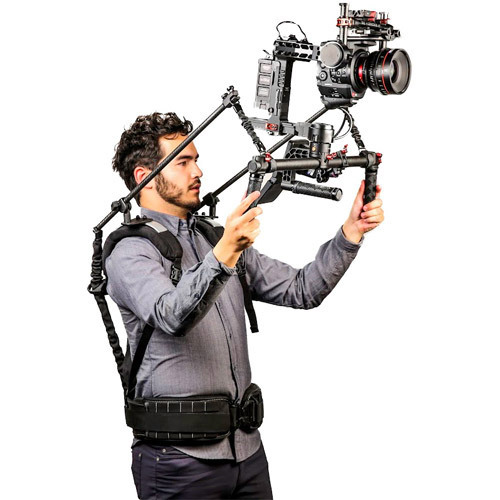 Our patented gimbal support system utilizes four-point stabilization and two adjustable support rods to steady the camera, extend maneuverability, and achieve a variety of camera angles fluidly while enabling hands-free operation to pull focus, zoom or adjust camera settings. 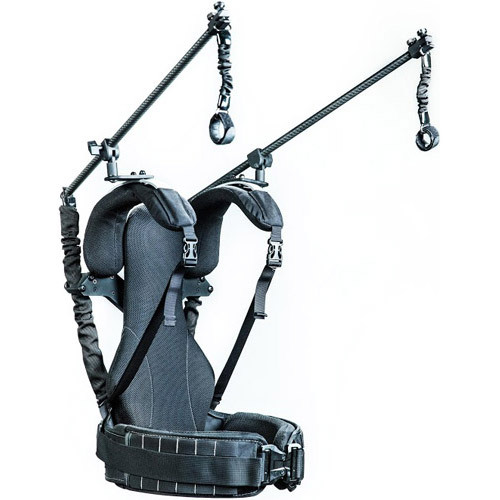 The Ready Rig GS allows the operator to stop caring about the deadweight out in front, and focus on what matters. This becomes an absolute must for those long takes and longer days. Two sided dampening on each rod softens Y axis translations such as the operators gait providing a more stable and usable image. Newly designed waist support system evenly distributes the weight across your hips. 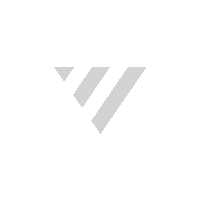 When in use the rear accessory plate functions to pull back the systems center of mass reducing strain on the back. 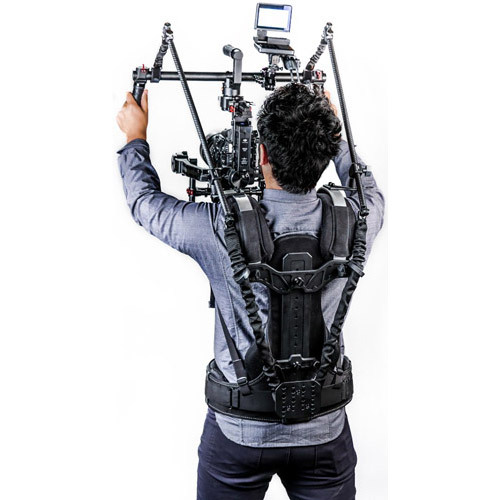 The entire gimbal stabilizer vest can easily fit through a standard doorway allowing the operator more freedom of movement on set and less bumping into things. By keeping everything close to the body we were able to make a system that maps to the operators sense of space. The operator has full range of motion to perform moves with the help of the camera rig. Assembles in less than 2 minutes and fits into included carry case for easy travel, the fully assembled weight is 10lbs.